Unisex Black Non-Metallic Safety Hiker. 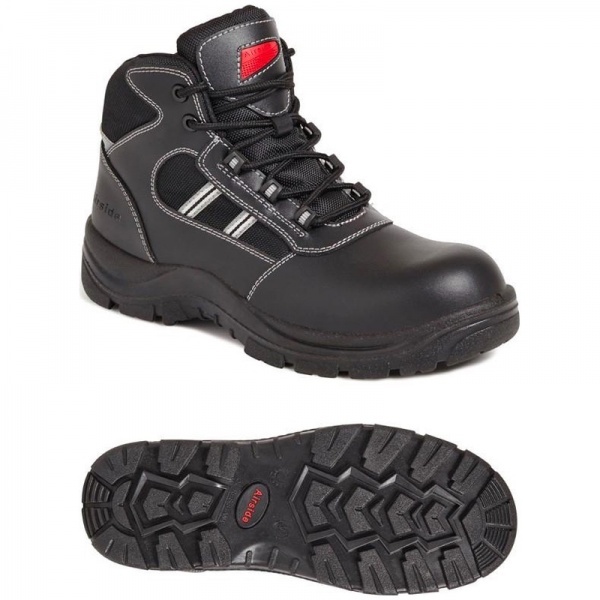 Black full grain leather water resistant safety boot. Padded collar and tongue for added comfort. Non -metallic toe cap and non- midsole protection. Dual density polyurethane outsole. Anti-static. A 100% non-metallic lightweight safety boot for all security screened work places.